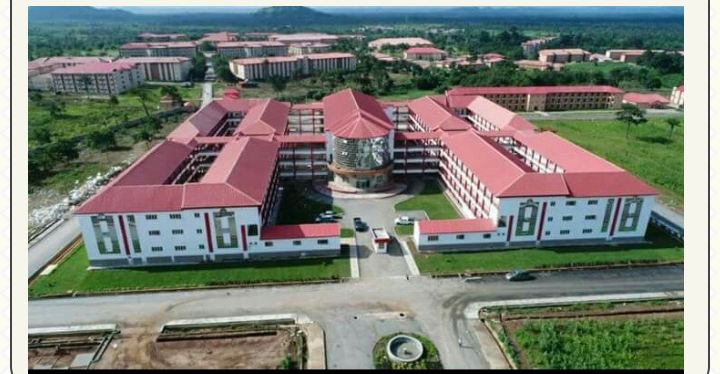 Afe Babalola University has finally completed her world class teaching hospital which was initially slated for commissioning in the first quarter of 2017. The 600 bed teaching hospital is set to reduce educational tourism. The ABUADTH is located in Ado Ekiti and is set for commissioning soon. Once it is commissioned I would bring pictures of its facilities and equipment to nairaland. Some of the facilities include but not limited to: Bone densitometer, for measuring the density of bones; Positron Emission Tomography (PET) Scan, for diagnosing very minute abnormal structures in the body such as cancer. Other facilities include: a helipad, where patients flown from different parts of the world will land via helicopter for medical attention.